As much as $60 billion intended for financing U.S. wars Iraq and Afghanistan has been lost to waste and fraud over the past decade through lax oversight of contractors, poor planning and payoffs to warlords and insurgents, an independent panel investigating U.S. wartime spending estimates. The Associated Press obtained a copy of the commission’s 240-page report in advance of its scheduled public release on Wednesday. VALLETTA – A boat carrying dozens of evacuees from Tripoli arrived in Malta on Monday with passengers including a girlfriend of one of Muamar Gaddafi’s sons and four Italian journalists kidnapped last week. The Malta-chartered boat had been unable to land in Tripoli last Sunday because of gunfights raging in the city but succeeded on its second attempt later in the week and loaded up around 50 foreign nationals escaping the city. The trip from Tripoli to Malta took around 36 hours and exhausted passengers said it had been “a disaster” due to the strong winds and rough seas. “We’re very happy to be here,” said one man, who gave a thumbs-up sign. Among those on board was Dutch model Talitha van Zon — a former girlfriend of one of Gaddafi’s sons, Muttasim, according to a British newspaper report. Van Zon told the Sunday Telegraph in an interview that the rebels who captured her had threatened to burn her alive and she escaped by jumping from a hotel balcony, breaking an arm. She declined to speak to journalists in Malta. Four Italian journalists — two from Corriere della Sera, one from La Stampa and one from Catholic newspaper Avvenire — were also on board. The four were kidnapped for 24 hours last week and their driver was shot, apparently by Gaddafi loyalists. The Pentagon is imposing a new contract provision which calls for withholding as much as 10 percent of payments to defense companies when it finds“significant” shortcomings in any of six business systems used to track performance and cost of weapons programs or services. The measure is intended to protect taxpayers from overbilling. It focuses on the systems that companies such asLockheed Martin Corp. (LMT), the No. 1 defense contractor, use to estimate costs for bids, purchase goods from subcontractors or manage government property and materials. As initially drafted, the Pentagon would have been empowered to withhold as much as 20 percent of billings. After industry complaints, that was cut to a 10 percent maximum in the fiscal 2011 defense policy bill. The rule resulted from an August 2009 hearing of the congressionally mandated Commission on Wartime Contracting at which major business-system deficiencies were described within companies working in Iraq and Afghanistan. BAGHDAD – As Hurricane Irene begins its path up the east coast, service members and contractors deployed to Iraq are doing whatever they can to ensure the safety and well-being of their families living in the storm’s path. 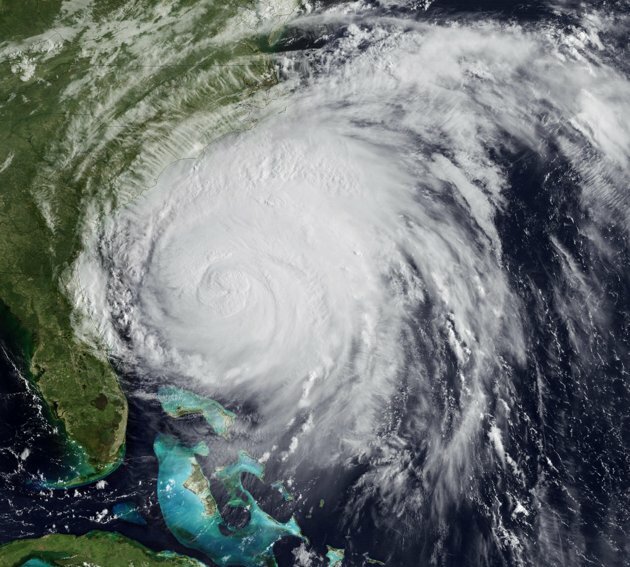 According to early Saturday morning reports Irene has already hit the coast of North Carolina, causing power outages and significant property damages. 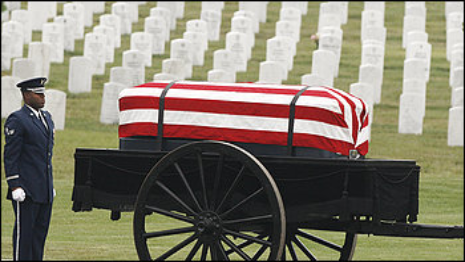 “Of course we have a lot of service members whose families are in the area. Our concerns are for them as well as all Americans impacted. We’ll do all we can to support them,” said Maj. Gen. Jeffery Buchanan, senior official spokesman for United States Forces – Iraq. Despite being thousands of miles away from home, those deployed to the New Embassy Compound in Baghdad have been doing all they can to prepare their families by making sure they purchase enough groceries, batteries, water, and other items essential to prepare for an emergency. One of the most difficult things about being overseas during a potential natural disaster is the fact that those deployed here cannot physically reach out and touch their belongings as the storm, which is reported to have up to 100-mph winds, passes over their homes. The U.S. Justice Department wants a federal appeals court in Washington to overturn a judge’s ruling that said an American contractor detained in Iraq can sue former Defense Secretary Donald Rumsfeld for alleged abuses. U.S. District Judge James Gwin this month ruled for the contractor, an American civilian and former Army veteran who provided translation services to the military in Iraq in 2004 and 2005. Gwin said Rumsfeld is not entitled to qualified immunity. The judge’s decision is here. The contractor, whose name is confidential in the suit in Washington federal district court, “has a right to be free from conduct and conditions of confinement that shook the conscience,” Gwin said. Gwin of Cleveland federal district court took over the case in January 2010 from Judge Colleen Kollar-Kotelly of U.S. District Court for the District of Columbia. Gwin is sitting by designation in Washington to hear the suit, filed in 2008. 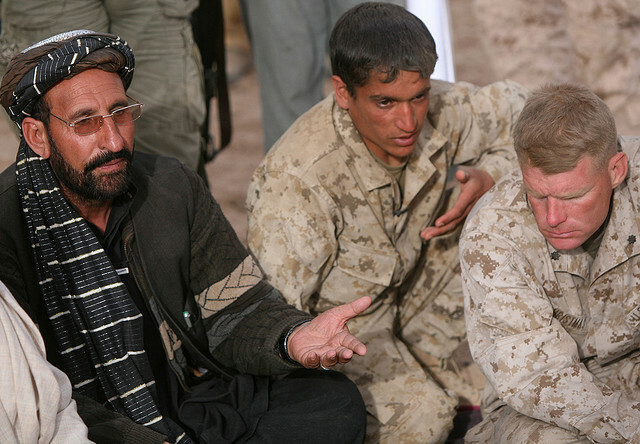 It’s no secret that the U.S. Army has a language barrier to overcome in Iraq and Afghanistan. A decade of war has led an English-constrained military to seek all kinds of quick fixes, from translator gadgets to private contractors — something Defense Secretary Leon Panetta lamented this week. But more galling is the fact that the few soldiers who do speak Arabic, Pashto and Dari are still being wasted, even in the warzones where they’re needed the most. I know — because I was one of them. Eritrea has released two Israeli pilots, Vered Aharonson and Yehuda Maoz, whom it held for ten days. Hebrew daily “Yediot Ahronot” reports that they had transported weapons and munitions to Eritrea for a German ship owned by Ofer Holdings Group’sOfer Shipping Group to defend it against Somali pirates. The pilots flew to Eritrea on July 29, after notifying Israeli air traffic control at Ben Gurion Airport that they were going to pick up an injured person in Eritrea. In fact, the plane’s cargo bay carried arms, including Kalashnikov rifles. The manifest did not list the arms, but other items. The pilots were arrested after an unannounced inspection by Eritrean security forces. Israel’s Ministry of Foreign Affairs was worried that the pilots had no authorization, and could have been jailed for years. Minister of Foreign Affairs Avigdor Lieberman ordered a strong diplomatic effort to obtain their release. Following the pilots release, they returned to Israel yesterday. In a reply brief, Jones countered that there is “nothing frivolous” about her claims, as evidenced by the fact that the judge agreed to let her proceed to trial and the jury deliberated for more than 10 hours before reaching its verdict. Her lawyer, Todd Kelly, told the Law Blog that in 16 years of practicing law he has never had a case where a defendant requested that a plaintiff cover its legal fees. LONDON (Reuters) – Germany plans to lobby other European Union countries to allow the deployment of private armed guards on their merchant ships in high-risk areas as a piracy crisis escalates, ministry officials said. 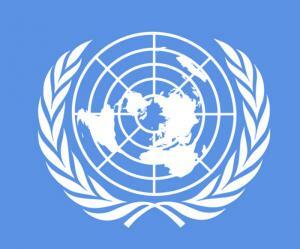 But analysts said the initiative was likely to face legal and practical difficulties. Somali piracy is costing the world economy billions of dollars a year, and international navies are stretched to combat the menace in the Indian Ocean due to the vast distances involved. In desperation, more shipping companies are considering deploying private armed guards on their vessels. The German government is looking into changing the country’s weapons laws to allow security personnel to bear firearms on ships in high-risk areas. It could also certify those private security companies that could be used on merchant vessels, a government official said. What this article fails to point out is that Acinetobacter baumannii infections were extremely rare in the US prior to the invasion of Iraq. The Iraq Infections website mapped the spread of this Superbug from the military medical system to community hospitals across our country beginning in 2004. Acinetobacter baumannii spread from Landstuhl and the three main military hospital centers, to the VA hospitals, to the community hospitals. 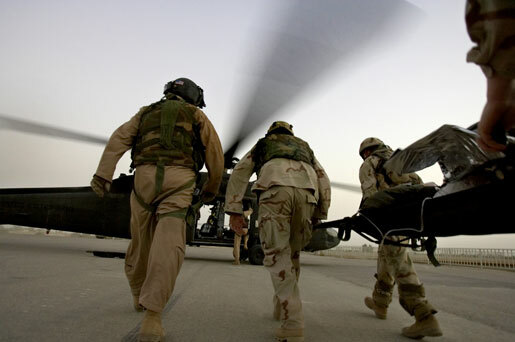 Severely injured Civilian Contractors were repatriated via the military medical evacuation system then delivered to unsuspecting community hospitals in the US, the UK, Australia, Canada, and the many third world countries the TCN’s come from. The quiet civilian epidemic was allowed to propagate due to the DoD and CDC‘s concerted effort to cover up this disaster that the Military had created themselves. The DoD promoted such notions as the insurgents were putting Acinetobacter on bombs and the Main Stream Media (here and here) parroted the propaganda. The CDC claimed they were not “authorized” to talk about it. The military knew all along that Acinetobacter baumannii was a hospital acquired organism yet promoted the lie that it came from the soil in Iraq. The original strains of Ab infecting soldiers and contractors were matched to the European (Landstuhl) strains which were already fast becoming a problem there. A thick layer of dust covers the blazing hot combat fields of Afghanistan and Iraq, getting under soldiers’ helmets, chalking up their fatigues and covering exposed skin. When enemy fire hits, troops often sustain severe burns and open wounds with shredded surrounding skin. Medical aid is generally faster than in any other U.S. wars, thanks to technology and a transport chain designed for high speed. When medics come, there’s an efficient process of lifting wounded troops onto open transport vehicles, prodding them with devices to assess vitals, wrapping their wounds and giving them fluids and blood. But during all that activity, the dust, the many hands and bandages, open wounds and needle punctures give other enemies — microscopic superbugs — an opportunity to attack from the inside. For troops wounded in the wars in Iraq and Afghanistan, one of the most prolific superbugs has been an almost exclusively hospital-bred strain of bacteria known as “Iraqibacter,” a mutated version of the common acinetobacter baumannii. While military hospitals have waged a somewhat successful internal battle against the bacteria, for civilian hospitals in the U.S. and around the world, these bugs are a formidable foe. “The data we were seeing shocked us into action,” (is five years the normal reaction time?) said Colonel Dr. Duane Hospenthal, Infectious Diseases Consultant for the U.S. Army Surgeon General. In fall 2008, the military expanded its infection monitoring and control system, also known as GEIS (Global Emerging Infectious Surveillance), to include acinetobacter and other multidrug-resistant organisms. This overhaul followed a spate of high-profile stories in Wired magazine and on the PBS program “Nova” about the prevalence of acinetobacter at Walter Reed Medical Center. 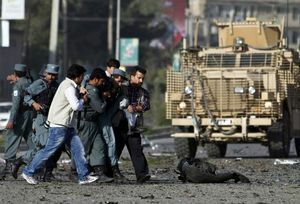 The Taliban brought terror to the streets of Kabul again yesterday with a double suicide strike at the British Council compound in the Afghan capital, which left at least 10 people dead. Militants stormed the building, starting an eight-hour gun battle with Afghan security forces and New Zealand special forces as teachers from the charity sheltered in a panic room. 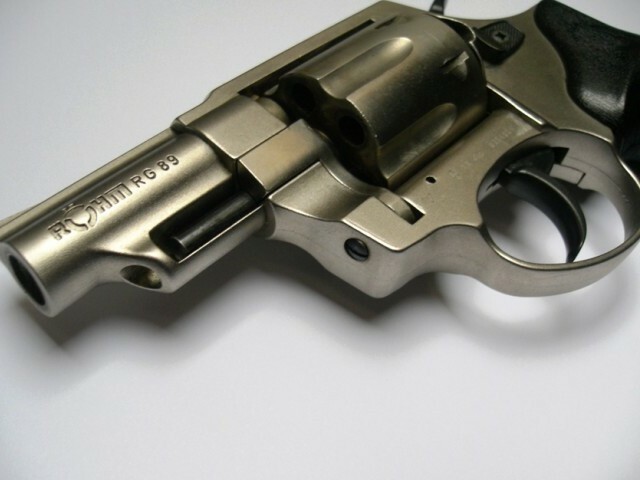 The National Database and Registration Authority (NADRA) has initiated the revalidation process of arms licences after evidence surfaced that thousands issued by the interior ministry are forged against the backdrop of rising incidents of violence. “It’ll be difficult for us to verify the licences without complete documentation,” a senior official of the Arms Licence Management System (ALMS) told The Express Tribune. “Around 32, 000 fake arms licences issued by the interior ministry in the last three years will be forwarded to NADRA Registration Centres (NRCs) for confirmation.” Despite the ban around 8,590 arm licences were issued by NADRA on the PM’s directions, he said. “We are not entertaining incomplete applications at all.” Notices sent by the government to NADRA for 178 arm licences were fake, he added. NADRA is likely to raise the issue of 138 forged licences issued to foreigners with the interior ministry’s approval. A Senate panel was informed in April that these licences were issued to American defence contractor, DynCorp, which paid out $0.2 million as illegal gratification with assistance from the American envoy to Pakistan in 2009.